Are these coolers worth the high price even when they're on sale? Now that its not summertime, Yeti coolers are on sale for prices well below the summer price spike. So is it worth it to get a Yeti cooler on sale? We definitely think so. Prices can fluctuate daily, but we've definitely noticed that prices fall once summer is over. Click here to see the discounted prices of Yeti Coolers on sale now! Yeti coolers are a buy-it-for-life purchase that will offer many many years of use and will continue to perform well. They are pressure insulated with a polyurethane foam that is thick on the sides and extra thick on the top where insulation is needed the most. We recommend Yetis mid to large sized coolers due to the fact that they have much larger internal capacities which therfore can hold more ice and offer much better ice retention. 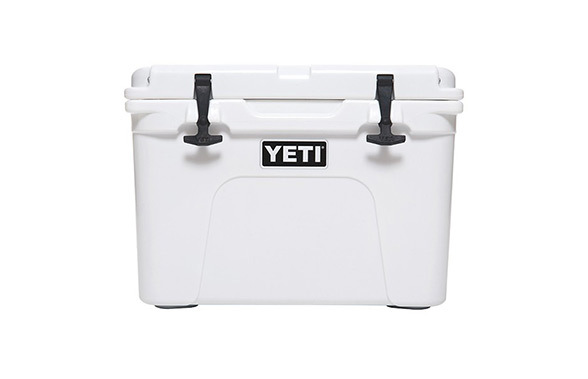 While the price tag of Yeti coolers can be quite surprising at first, with Yeti Coolers you are receiving such value and durability it is well worth the extra investment. Take the time to truly consider all the features and benefits to see why this is the best option for your cooler needs. Yeti does not sacrifice in quality and value, which is why this is the brand of choice for virtually anyone who wants a cooler that actually provides results. The 45, 50 and 65 quart Tundra models have actual capacities of 38, 42 And 52 reapectively and allow for more ice to be loaded in addition to your food or drink which has a dramatic effect on how long they can stay cold. Check out our cooler sizes comparison chart to see what the real capacities of Yeti coolers are. Regardless of if you choose the Yeti Tundra 45 of the Yeti Roadie 20, you can feel confident of the cooler's durability. These coolers have been tested, beat and pushed to the limits – withstanding everything that is thrown in their way. There is no question that when it comes to tough coolers, Yeti stands up out from all the rest. In fact, to make sure the Tundra 65 and other models of Yeti coolers are bear resistant, they were put through endless tests, including an hour long encounter with two, 1,500 pound grizzly bears – who were looking for a meal. With the durable roto-molded polyethylene that makes these coolers, they crafty bears ended up empty handed. While the Yeti brand is confident that you or a wild animal will not be able to damage the cooler, they also understand that nothing is impossible. This is why they offer a limited warranty against any defects in the workmanship or the materials that are used. 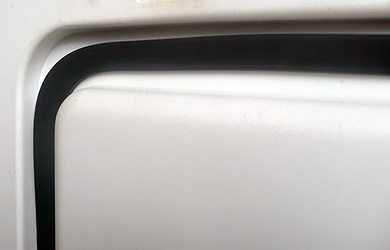 The warranty covers defects on any part of the cooler. Yeti coolers typically come with a 5-year limited warranty including the Yeti Rambler Series, Yeti Ice, Yeti Roadie, Yeti Tank and Yeti Tundra. The Yeti Hopper has a 3-year limited warranty. While there is no question that the Yeti Tundra 35, as well as all the other models, is tough and rugged, but it is the superior thermal properties that truly set them apart. Yeti Coolers are considered the best insulated cooler option offered on the market today. Each one features two inches – or more – of custom polyurethane insulation in the cooler walls, including the lids of most size options. 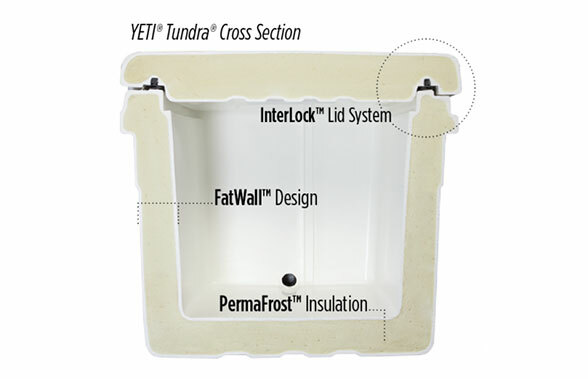 This insulation is complied with a sealing gasket that is freezer-quality. The durable, one-piece design also provides Yeti with the best ice retention in the industry. Regardless of if you choose the Tundra 75, which is ideal for a day on the water, or the Tundra 160 for your next elk hunt, Yeti offers every size cooler you can imagine. This ensures you get the right option for your needs, regardless of what this may be. The Hopper models are the smallest, and available in 4.4 and 5.5 pounds and the sizes go up from there. The largest cooler is the 110 pounds Tundra 420. Take some time to browse all the options to find the size that is right for you. Regardless of how it is going to be used, Yeti is confident that they have the ideal cooler size for your needs. One of the most appealing features of the Yeti brand is that they don't just offer coolers. In fact, you can easily adapt your selected Yeti Cooler to fit the needs you have with a wide array of accessories and replacement parts that are just as hard wearing and durable as the original product. You can find a multitude of items, including locks to secure the cooler, to add-ons that help to increase its function and versatility. Are you searching for a way to make the cooler even more efficient than it already is? 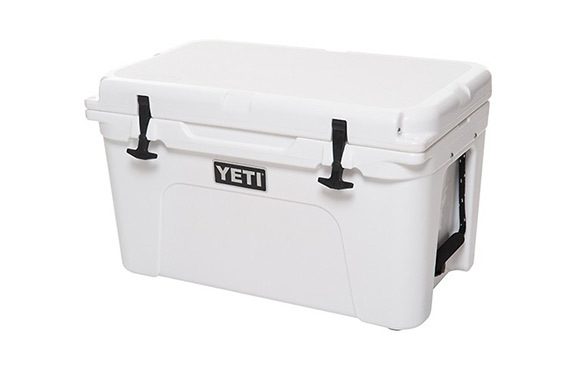 If so, Yeti Ice is an ice replacement that will freeze much faster and chill stuff inside of the cooler with ease. Some of the other accessories offered by the Yeti brand include the Molle bottle opener, beverage holder, seat cushion, rod holster for the avid fisherman, locking bracket, sliding feet for the Tundra models, bait tray and non-slip feet. These accessories make excellent gifts for the avid Yeti cooler enthusiast. The size, weight and capacity differences range from small to large and offer users a wide array of options to ensure they get the storage they need with a weight they are able to manage. Some of the best mid-sized options for Yeti coolers include the Tundra 65, Tundra 45, Tank 85 or Roadie 20. For those who are looking for maximum capacity, the Tundra 420 is the best option and the largest cooler offered by the Yeti Brand. Remember, if you are going to be using the cooler on your own, choosing one of the smaller options will be ideal, since you will be able to move it around easily on your own. However, for tailgate parties, a day of deep sea fishing or other long excursion, choosing a larger option of Yeti cooler may be the right option to keep you safe and sustained throughout your trip, whether it's football season tickets or camping in the mountains. If you are searching for all the best in terms of Yeti coolers then you will love what is offered by Yeti. From cooler skins to customizing the look of your cooler to other features and accessories that make it even more functional and useful, Yeti is a superior brand. Take some time to consider your needs and how the cooler will be used to find the one or more options that are right for you. When you do this, you will find that Yeti offers the very best in terms of ice retention and other features that make taking along food and storing food and beverages quite simple. Don't sacrifice for sub-par quality when you can have the very best with the Yeti cooler.